As businesses move from paper and manual processes to digital, they experience a transformation. Some experts suggest that by the end of this decade, all successful businesses will be completely digital. 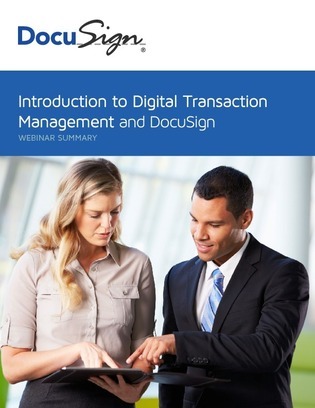 This white paper explores how to enable digital transaction management. Find out how to transform customer experiences and key business processes with digital documents and e-signatures. Plus, discover 3 potential benefits of digital transaction management for your organization.